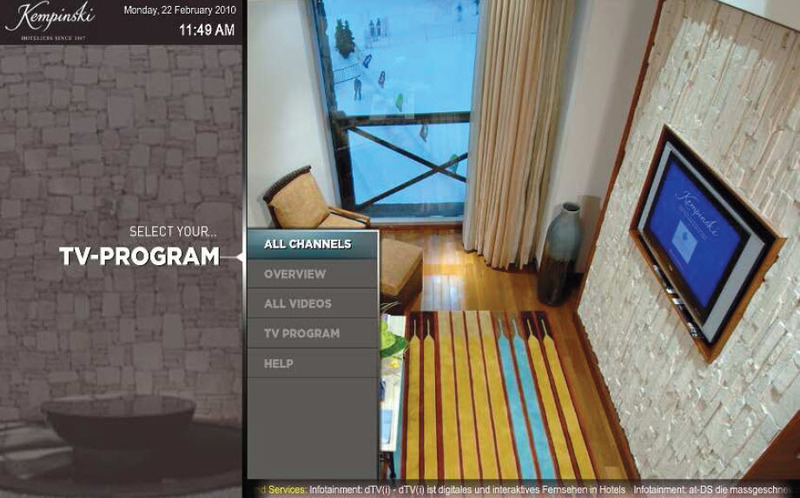 Hotel IPTV brings new levels of control and flexibility, you are no longer just watching TV, you are now in complete control because of the tremendous interactive capabilities with fully customizable menus and being able to show online content along with revenue producing services through on-demand POS/PMS interaction with room service, on-screen ads and other guest services for experiences inside, and outside of the hotel and surrounding areas. The interface which users select channels can be customized to your requirements- reflecting corporate branding and colors along with the capability to scroll important messages using RSS data, enabling important information to be disseminated to certain users. The same interface can provide access to an indexed library of video on demand content which, depending on your country, could contain country-specific web links, films, internet radio stations and live TV. Guests are able to select room service, schedule a sailing trip, book a spa appointment and view the bill all without interrupting a running movie in a simple and intuitive process.Seamlessly integrate mobile devices- Guests will be able to control the TV as well as access personal info or stream content to and from the TV. 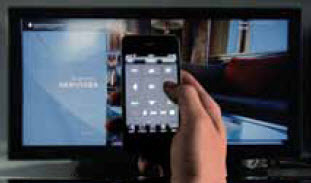 Recent advancements in hotel IPTV technology also allows guests to continue watching TV content on personal devices throughout the property by simply scanning a QR code. Costs, space and energy are saved by getting rid of expensive and long-running contracts along with bulky set top boxes. Contact us for a free IPTV consultation for your property, fill your information below and we will be in contact within 24 hours.